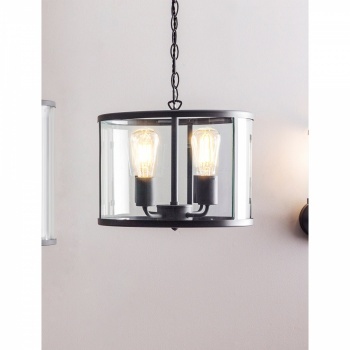 Add a grand touch to a hallway, living room or kitchen with the Cadogan 4 Pendant Light. 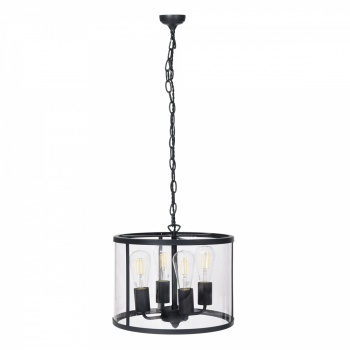 The off-black Carbon frame houses four E27 fittings, perfectly matched with our LED Squirrel Cage bulbs (sold separately). 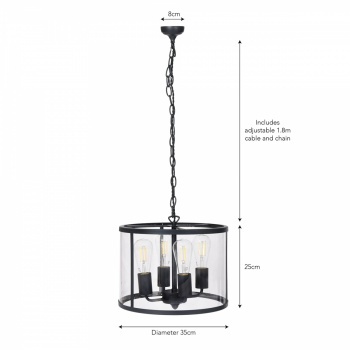 The indoor pendant is fitted with PC panels, which have the appearance of real glass but are much more lightweight and durable. Weve taken inspiration from baronial hall lights, traditionally styled with candles above dining tables. 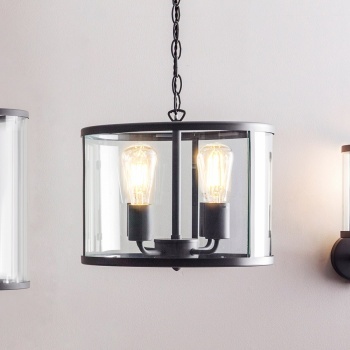 Our Cadogan range echoes this style but with a modern edge, suited for use with filament bulbs. The piece comes with a black twisted cable and Carbon chain, to hang at the desired height for its location.